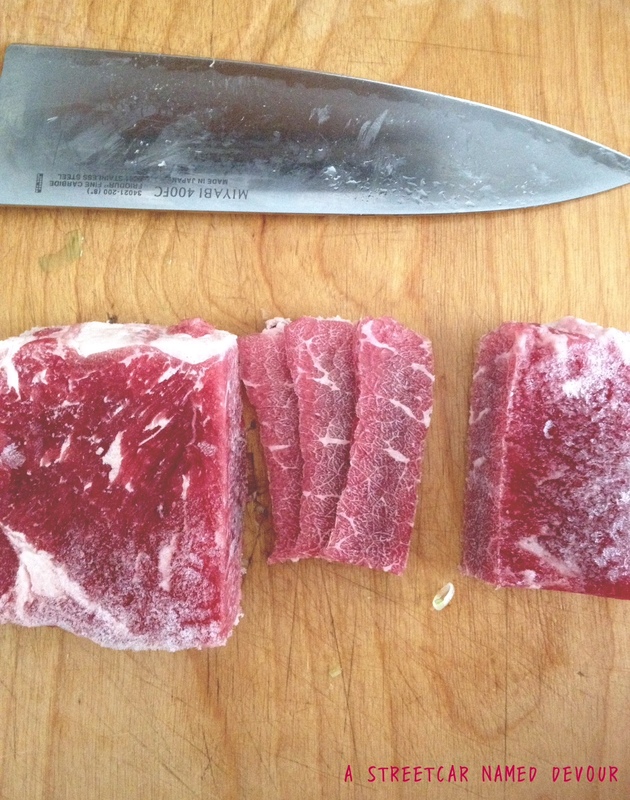 While the steak is still frozen, trim the excess fat and slice into thin strips. 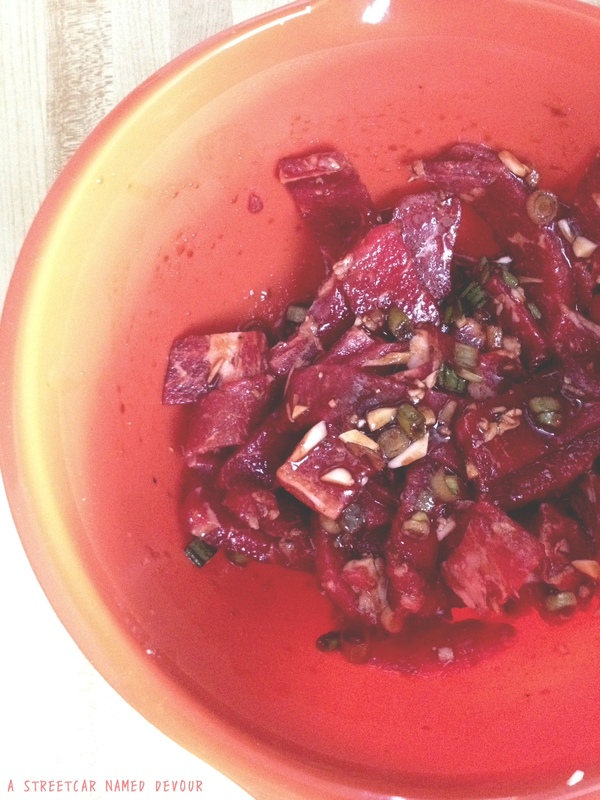 Place the steak into a large bowl with the next 7 ingredients. Toss all of the ingredients to coat, and then adding the white parts of the onion. Allow the steak and marinade to thaw for about 1 hour. Heat a large skillet or wok to medium-high heat. Using a pair of tongs, place the meat onto the heated skillet. Spread the pieces of meat evenly to allow all pieces to cook evenly. 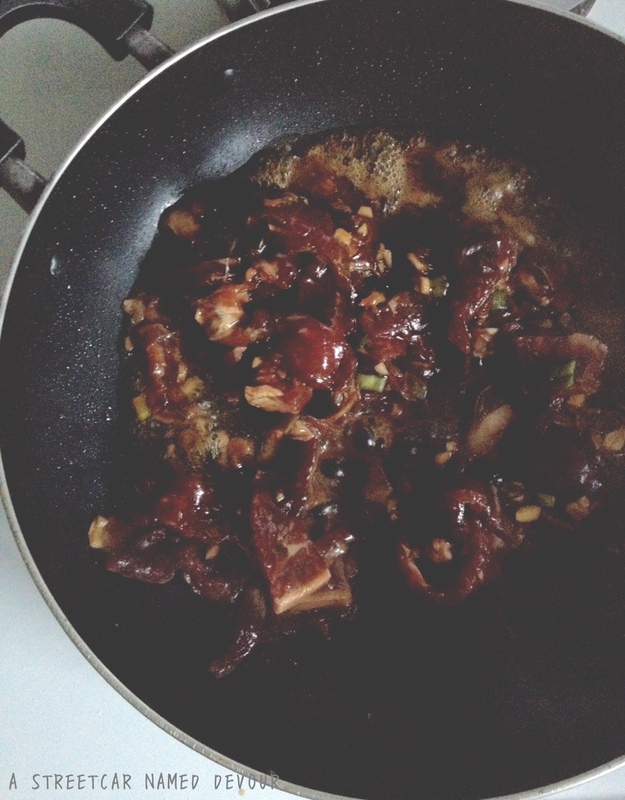 After about a minute, add the marinade onto the pan. Toss to coat and allow the sauce to caramelize. 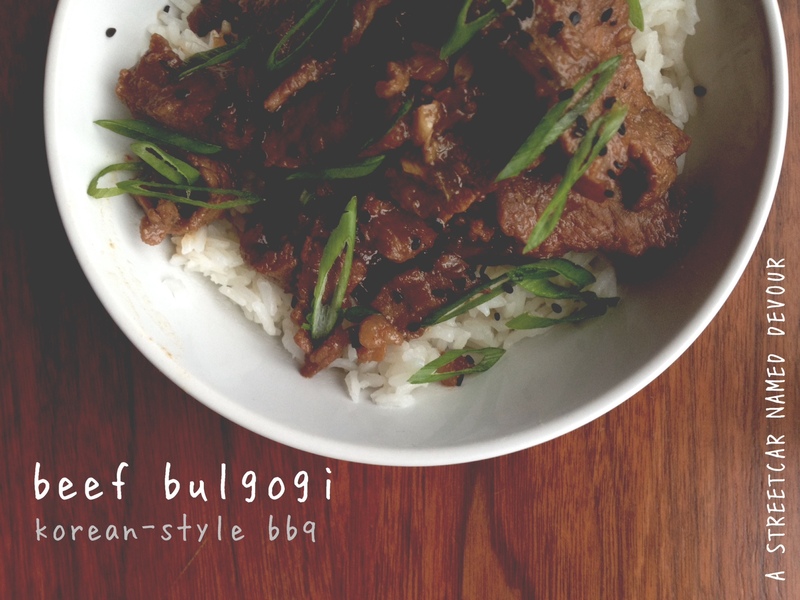 Once the marinade is cooked down and the steak is cooked to desired temperature, turn off the heat. 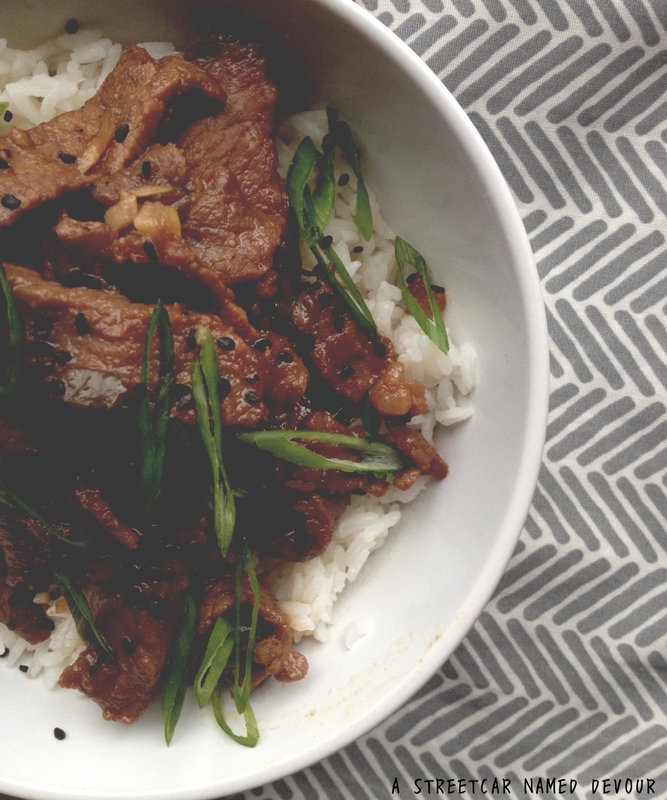 When ready to serve, garnish with sesame seeds, green onion.